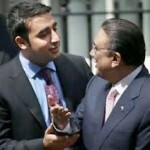 Media reports (27.3.2013) show that the young lad and Pakistan Peoples Party Chairman Bilawal Bhutto Zardari had a quarrel with his father, President Asif Zardari, over the issues of militancy, sectarianism and issuance of party tickets. According to the media reports, he showed his concern over the weak policies and reactions of the government related to terrorist activities. The reports claim that he left Pakistan and refuse to lead the election campaign for the party. Interestingly, he raised these concerns when Peoples Party is no more in a power and elections 2013 are about to be held in May. The spokesman of the President has, Farhat Ullah Baber, is correct when he told the press that the news is incorrect and there were no difference between the father and the son. But, he told the half truth as he did not say that it was an image building effort. The news was created by the family to build an image of the young lad before he turns to 25, which is an official age to participate in any kind of elections in Pakistan. 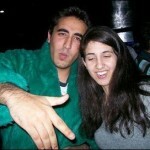 Bilawal’s father, Zardari, is well aware of the fact that the image of the young man is not very high in the media as well as in public; most of people consider him an immature young man who enjoys drinking and to be surrounded by girls (Videos available on http://youtube.com). Being a father and politicians, Zardari wishes to change image of his son before he turns to 25. The family wishes to build an image of Bilwal who is mature enough to appreciate the problems of Pakistan and have the ability to argue with senior party people, even the President Zardari who happens to be his father. This is important to build his image especially when everyone knows that Bilawal hardly lived in Pakistan and spent most of his life either in the Gulf area or UK. Zardari will be very pleased if he is able to change image of his son in the public and media because this will improves Bilawal chances in Pakistan’s politics. Zardari might be of the opinion that changing Bilawal’s image will provide his son with an edge on the second generation of the current well-known politician, who are Mariam Nawaz, daughter of Nawaz Sharif, Monish Ellahi, son of Pervaiz Ellahi and Hamza Sharif, son of Shahbaz Sharif. Zardari tactically use Indian media for this purpose so they can easily reject the news at the appropriate time or if Pakistani media criticizes. At the moment, it appears that Zardari has achieved its objectives as far as the Pakistani media is concerned because the news published on front pages of the print media without any negative comments or analysis. So far, none of the columnists tried to asses the real intent behind the news. Zardari wishes to give Bilawal political power and authority in a plate as the other senior politicians are habitual to do so. Unfortunately, the people of Pakistan and senior leaders of Pakistan Peoples Party will accept him as a seasoned politician as it is the culture of Pakistan’s politics.